* The arrival times in Butrint are also the departure times for Saranda. Below you will find a table of approximate bus times. Please keep in mind that you are in Albania and thus if the bus driver wants to leave early or later than expected then they will. To be on the safe side, I would make sure to arrive at the bus stops at least 15 minutes before you get on the bus. Dates and times of busses leaving and arriving in Saranda, Albania for 2014-2015. ** At the whims of the Albanian bus drivers these two buses may not actually be running, so try and make one of the earlier buses. * There are numerous buses from Gjirokastra back to Saranda; this route takes about an hour. No you do not have to book, there is a ticket office right next to where the bus departs from (in the center of Saranda), you have to buy a ticket from them, you can purchase on the day or in advance. It’s open around 8:00am but sometimes it doesn’t open unitl later (I’ve got no idea why?! ), so best to buy it the morning before just to make sure. Please, could you help me to find how to get from Sarande to Vlore? It is not clear where the bus leaves and how often they leave at the end of June. Thanks for the comment. There are 4 busses that go to Vlore departing from the center of Saranda during the peak season (June-Sept). Times are as follows but please note that bus/furgon drivers will often wait an extra 30-40 minutes to see if they can get any more fares. In the off-season, you’ll likely not have the afternoon journeys. thanks for such a useful website. The bus timetables are not working correctly on my iPad so can I please check with you if you know what times the buses are from Berat to Saranda (travelling Sat 11 July), likely length of journey and which route they take (coast or inland)? Thanks for the comment and sorry to hear that the timetables are not showing on your iPad, I’ll look into possible causes for this. There is still only one connection bus from Berat to Saranda and it departs at 8am from the bus stop next to Lead mosque (Leaden Mosque). Journey time will take around 7.5 hours. Tickets last time I travelled were 1150 LEKE. You might also be able to get a furgon up to Sarande from Berat as they do operate semi-regularly though have no fixed schedule usually. They will wait until the vehicle is nearly full and then depart but generally speaking they travel faster (sometimes twice as fast), are better maintained and more comfortable. Prices for furgons are generally cheaper though personally I’ve never made the journey in one up to Sarande. I hope this is of some help? Any more questions, please let me know. I would like to take the night bus from sarande to Tirana in the end of August (22.00) but it says booking only, What does that mean? It means you have to book/buy a ticket in advance. People usually buy the day before. Thank you for your respons, but where do I buy the ticket? Either on the bus itself (sometimes) or there is a little ticket office just next to where the bus stops. Open 8am until early evenings most nights not often Sunday. Ask anyone around there where it is and they can tell you if you can’t find it. Usually there is a sign outside. Hey.I am planning to take the night bus from Saranda to Tirana on 20th July (tomorrow). I will arrive from Corfu to Saranda around 8pm and instead of sleeping there, I might wanna leave to Tirana immediately. Is it possible to book it online? Thanks for your comment, unfortunately it is not possible to book online so you might have trouble. If you get a nice bus driver then there is a chance he might allow you on without a ticket (you might have to give him the money instead). I’ve known people to do this in the past but it really does depend on the driver. I hope tgis has helped you a little? 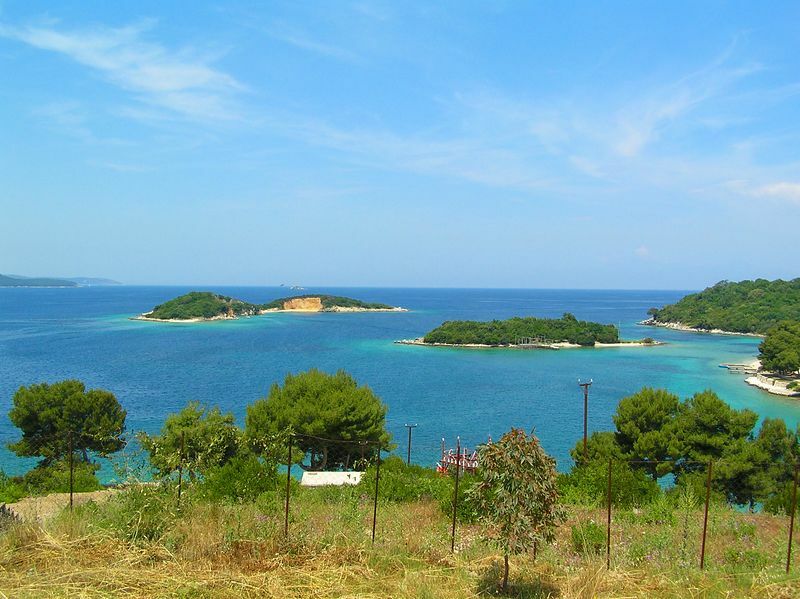 Do you know vlore to saranda bus ? Everybody says different thing. İn day just one time? Or 7.00 8.00 9.00 a.m ? I’m looking to take a bus from Tirana to Ohrid/Struga, do you have any info on this please. It will be for next Tuesday. Hi, I would like to know where the bus from Saranda stops in Tirana as I am planning on a friend picking me and my children up from the Bus Stop. Also, what is the cost of travel? My partner and I need to get a bus from korce to Sarandë on Saturday January 23rd. What time and were do we get the bus? Online seats reservation, payments by credit card, free Wi-Fi and drinks on board. Fixed price 40 EUR to any destination – Durres, Vlora, Dhermi, Jale, Himara, Borsh, Saranda. I’m looking for bus schedules from Tirana to Sarande ad from Sarande to Tirana: I’ll come in August 2017.